CD, Miriam Gideon: RetrospectiveMiriam Gideon wrote “Böhmischer Krystall” in 1988 as part of The Schoenberg Institute’s Pierrot Project. The Institute commissioned sixteen different composers to set the twenty-nine Albert Giraud poems that Arnold Schoenberg did not choose to set into his “three times seven” movement melodrama from 1912. The only requirement of the project was that composers use the same, fractured instrumentation that Schoenberg had employed for Pierrot Lunaire: any combination of piccolo or flute, B-flat clarinet or bass clarinet, violin or viola, cello, piano, and voice. Although Schoenberg asked his vocalist to perform primarily in Sprechstimme, a kind of eerie speak-singing, the commissioners allowed the composers free rein about the use of the singer. Gideon’s setting calls for flute, clarinet in B-flat, violin, cello, and voice. Schoenberg only used this exact instrumental grouping three times, but notably, employed it for his final movement of the cycle. Gideon had already established a definite personal compositional style by 1988, particularly within the genre of vocal chamber music. Allan Kozinn, who reviewed the New York premiere of the works, quickly pointed out that Gideon’s piece “explored the more lyrical side of Schoenbergian atonality, while John Harbison’s ‘Im Spiegel’ and Milton Babbitt’s ‘Souper’ emulated, in their different ways, the composer’s Sprechstimme style.” The reviewer was not far off in his description of Gideon’s work. “Böhmischer Krystall” represents, in many ways, a culmination of Gideon’s compositional output. She did compose much of her oeuvre in the idiom of atonal expressionism, the musical cousin of abstract expressionism in visual art. This style allows for a kind of tabula rasa onto which a composer may write what she chooses and how she chooses, without adhering to the strictures of tonal composition. The piece, like many of Gideon’s, sounds tonal one moment and atonal the next, depending upon the sonorities she chooses to emphasize. Although “Böhmischer Krystall” is an extremely late work in Gideon’s output, it nevertheless exemplifies the stylistic attributes of her previously written vocal chamber works. Like Schoenberg in the Pierrot period, Gideon is not afraid to repeat notes, often to the purpose of emphasizing certain words or phrases in the effort to create the best possible setting of the text. Take the structure of the poem, for example: Albert Giraud’s “Pierrot” poems (translated to German by Otto Erich Hartelbein) were subtitled “rondels bergamasques,” and all follow basically the same poetic structure of ABba abBA abba. Gideon, who spent her life loving great poetry, utilizes this structure to organize the motivic activity in “Böhmischer Krystall.” Though the piece is freely atonal, Gideon sets each “A” section of the poem—beginning with “Ein Strahl des Mondes”—as a vocal refrain that transposes very slightly at each hearing. Gideon also retains familiarity through maintaining the rhythmic integrity of the phrase, but altering one or two details to keep the idea fresh. This setting also paints the words quite poetically, in that the moon’s ray is like an ever-changing lover, trapped and hidden within the Bohemian crystal. Thus, the slightly transposed refrain is like the same ray, but refracted. The substance of the “A” musical motive also refracts: the first five notes given to the vocal part fold in on themselves like a transient moonbeam disappearing from both sides until only the thinnest strip of silver is left; this motive, in many forms, illuminates all of the instrumental parts, as though the speaker can never allow the instruments to forget the “shimmering symbol” of that first shining motive. Miriam Gideon was born in 1906 in her parents’ home in Greely, Colorado, just adjacent to the campus of Colorado State Teachers College, where her father taught humanities. It was in Greely that Gideon remembered first learning solfège, a skill that she claimed had a great impact on her early love of musical materials. The Gideons moved away from Greely when Miriam was six, slowly making their way eastward. The family stopped in Chicago to stay for a year with Gideon’s grandparents; in their home, Gideon remembered first hearing Jewish music, another aspect of her early life that would come to have a significant impact on her compositional style. Finally, the following year, the Gideons settled in Yonkers, and when ten-year-old Miriam went to audition for Hans Barth to be her piano teacher, she remembered in confusion transposing at sight a Chopin piece that she had never seen, which led to her immediate acceptance into Barth’s studio. Although Gideon’s parents provided her with lessons, neither was a trained musician. Thus when Gideon’s uncle--an organist and cantor--offered to take Miriam in as ward at his home in Boston in order to further her musical education, they naturally agreed. Gideon’s musical training began in earnest under the tutelage of her uncle, Henry Gideon, and the many interesting musicians he had coming and going. She particularly recalled hearing much of the art song repertoire for the first time in her uncle’s home as he coached singers. Gideon would stay on in Boston after graduating from high school, attending Boston University in the 1920s, where she studied French Literature and Mathematics, but took piano lessons and all the music offerings the university had at the time. Gideon also began learning cello as a secondary instrument. When she returned to New York after graduating at age nineteen, she got a job at a doctor’s office, and gradually began working towards a teaching certificate at New York University. Gideon worked with Marion Bauer and Martin Bernstein there, and it was the latter who told her she was “a composer!” and helped her to solidify an already strong interest in making a career of composition and teaching at the university level. The 1930s were a period of great growth for Gideon’s musical style, influenced largely by her major composition teachers. Gideon received from Lazare Saminsky, a student of Rimsky-Korsakov, rigorous training in the classic compositional building blocks of harmony, counterpoint, and orchestration. In his letters to Gideon he expressed his joy in working with her, encouraging her “decided polyphonic gifts.” After three years, however, Saminsky himself told Gideon that she had outgrown him, and that he would let her choose between continuing her study with either Arnold Schoenberg or Roger Sessions. Gideon chose Sessions, and began group lessons which she shared with Milton Babbitt, David Diamond, and George Perle, among others. With Sessions, Gideon found her compositional voice and style, losing much of her previous tonal expression in favor of atonality, and employing aspects of serialism but not relying exclusively upon it. Rather, Gideon preferred to compose motivically, weaving in and out of tonality depending on the context. After spending some time in Paris just before World War II, where she barely got out before the Nazi’s occupied the city, Gideon earned an MA in Musicology from Columbia University and began teaching at Brooklyn College, as well as the Jewish Theological Seminary, City College, and Manhattan School of Music. She composed in almost every medium and is well known as an instrumental composer, but her greatest compositional interest was in vocal chamber music, reflecting her early interests in song and poetry. She also wrote one chamber opera, Fortunato, in 1958. She continued throughout her life to teach at The Jewish Theological Seminary, and was awarded an honorary doctorate by that institution. 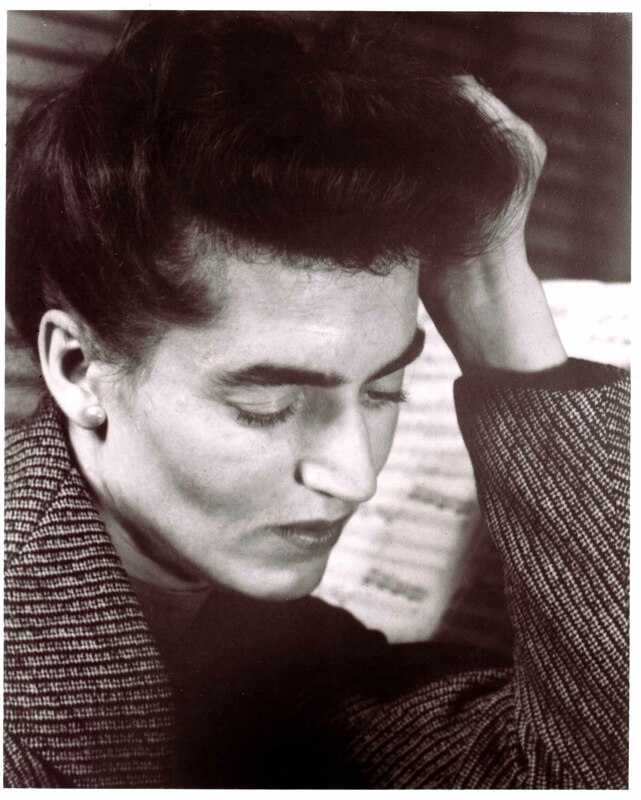 Although a Guggenheim fellowship perennially eluded her, Gideon was the second woman composer elected to the American Academy and Institute of Arts and Letters, where a retrospective concert honored her life and works in 1992. Stephanie Jensen-Moulton is Assistant Professor of Musicology at Brooklyn College, CUNY. Her dissertation (2008) focused on Miriam Gideon's only opera, Fortunato, and her scholarly edition of this work is in press with A/R's Recent Researches in American Music Series. Allan Kozinn, “15 Settings of Unused ‘Pierrot Lunaire’ Poems” in The New York Times, 27 November 1988, 65. Letter dated July 18, 1932, from Saminsky’s residence in Port Chester, New York (Westchester County) Miriam Gideon Papers, New York Public Library. 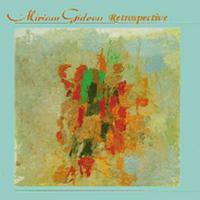 “Böhmischer Krystall” is available on New World Records, Miriam Gideon: Retrospective. Video of Böhmischer Krystall live performance from 2012 ACA Anniversary Concert at Symphony Space, with Jo Ellen Miller, Soprano.